← It’s Better to Give… Really! It has taken us Templetons a very long time to aspire to be slow dwellers – living more deliberately and sustainably, with a mind toward fairness, connectedness and pleasure – but the idea is not new. In fact, there are many great historians (Ralph Waldo Emerson, Henry David Thorough to name just a few inspirational thinkers) who have tipped us off to this type of lifestyle. 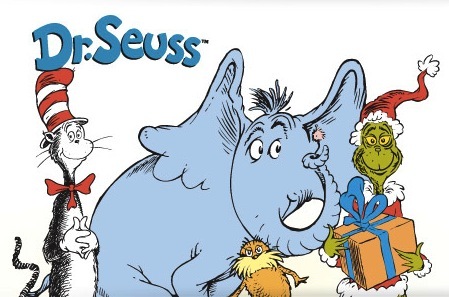 In my mind, though, one of the greatest slow dwellers was Dr. Seuss. I have often caught myself reading Dr. Seuss to my kids, pondering over the timeless wisdom woven into his clever stories. I wish I had come to appreciate that wisdom much earlier in life. And I truly wonder how anyone who grows up reading Dr. Seuss could be anything but a well-rounded, truly centered individual. In fact, I think that Yertle the Turtle should be mandatory reading for every corporate exec, because this simple story about an ambitious turtle trying to literally reach great heights at the expense of the peon turtles he stands on is so profound that it is impossible not to see so many analogs to life. And, I think everyone who hasn’t done so recently ought to read Horton Hatches the Egg. It’s a a lesser known Dr. Seuss story, but I think it is one of the most subtly profound and intensely moving. Horton is a true slow dweller and overall rock-star elephant, and the universe rewards him for it at the end, just as it SHOULD be. And, here are some of very my favorite slow dwelling Dr. Seuss quotes. Enjoy! “Sometimes the questions are complicated and the answers are simple.